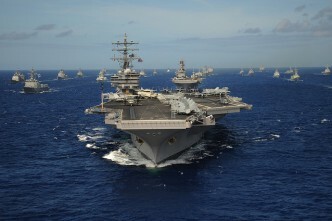 The Battle of the Coral Sea in May 1942 has become the touchstone for the Australian-American strategic relationship. The 75th anniversary provides an opportunity to reflect on why this engagement, in which for the first time the opposing fleets did not sight one another, still resonates. During the six months after the near simultaneous attacks on Pearl Harbour, the Philippines, Guam, Hong Kong and Malaya, the Allied forces desperately tried to stem the Japanese juggernaut. A string of Japanese victories left them masters of Southeast Asia with a foothold in the South West Pacific. On 15 March 1942 Emperor Hirohito approved the Japanese military’s plan to occupy Papua, Fiji, Samoa, part of the Solomons, Nauru and Ocean Islands. This operation could provide a defensible south-east perimeter and allow the Japanese to interrupt the lines of communication between the US and Australia. While the Japanese didn’t envisage an invasion of Australia, they knew it would be the springboard for the inevitable Allied counteroffensive. The Battle of the Coral Sea wasn’t the first time that Australian and American forces fought together in the war. In the unsuccessful fight to save Singapore and the Dutch East Indies, Australian and American forces had fought alongside the British and Dutch. The tragic loss of the cruisers HMAS Perth and USS Houston and over 1000 of their men in the Battle of Sunda Strait will forever represent the sacrifice made in those dark days for both navies. Despite the reverses over recent months, the Allies possessed some advantages. A jewel in the US Asiatic Fleet crown was its cryptoanalysis team which, with help from the British, had broken some Japanese codes. This team escaped to Australia and merged with a small RAN team to become Fleet Radio Unit Melbourne or FRUMEL. Its first big success was to intercept Japanese plans to invade Port Moresby. Up to this point General Douglas MacArthur thought that the Japanese would next take New Caledonia. But FRUMEL convinced MacArthur and he and Admiral Nimitz then prepared to confront the Japanese invasion force sailing to Port Moresby. 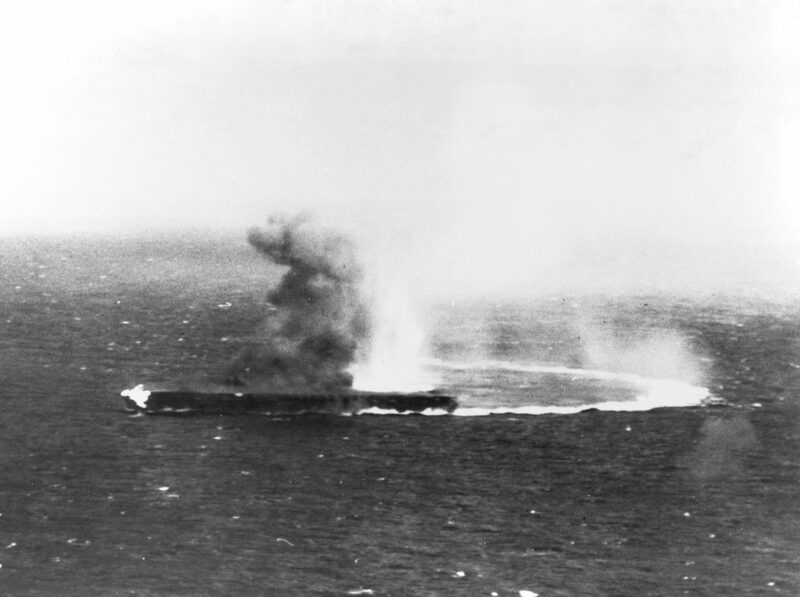 The Battle of the Coral Sea provided the first opportunity for the US Navy to challenge the Japanese Navy with roughly equivalent forces. In the interwar period the US Navy had trained for long range strikes by carrier-based aircraft and this battle was the proving ground for this capability. By 4 May, three Allied task groups of ships, including the US aircraft carriers Lexington and Yorktown and the Australian cruisers, Australia and Hobart, were in the Coral Sea. The latter ships were in an Australian-American task group commanded by the Australian-born British Rear Admiral Jack Crace. The entire force was commanded by Rear Admiral Jack Fletcher who hoped to attack the Japanese invasion fleet at arms-length in the Solomon Sea. To the north east of Fletcher, the Japanese under Rear Admiral Takeo Takagi were also deployed in three task groups—the main invasion force with the small carrier Shōhō, a small invasion force bound for Tulagi and a covering force of two aircraft carriers Shōkaku and Zuikaku. This would be the first major engagement where the Japanese faced comparable forces. In the ensuing battle both Admirals relied on land and carrier-based aircraft to visually locate the opposing forces. The battle was characterised by at times inaccurate position reporting, misidentification of ships and the need to make quick decisions based on these reports. On balance Fletcher made more right decisions and had better luck. 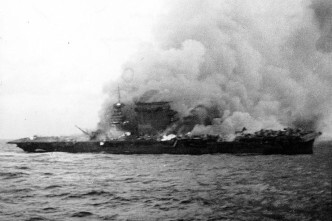 At a critical point in the battle on 5 May an American strike sank Shōhō while Japanese aircraft vectored to a misidentified US force sinking only a tanker and destroyer. Shōhō’s loss resulted in the invasion force turning around. At dawn the next day both sides launched carrier aircraft strikes and of the four carriers still afloat only the Japanese Zuikaku escaped damage. For Lexington, two torpedo hits and ensuing fires were mortal. By the end of the day, both Fletcher and Takagi withdrew. With the option of a seaborne invasion denied them, the Japanese elected to take Port Moresby via a little known track called Kokoda. The rest is history. The cost of this Allied strategic victory was high with the Americans losing over 650 men. While intelligence reports, good judgement and luck played their part in the Battle of the Coral Sea so did the skill and valour of the naval aviators. Crace’s cruiser captains had also displayed outstanding ship-handling to escape unscathed a determined attack by torpedo bombers. At that time, Coral Sea was considered ‘the greatest naval battle since Jutland.’ Prime Minister John Curtin, while celebratory in victory, said in sober tones: ‘I have no doubt that other battles have yet to be fought as part of the struggle which must continue until the enemy is defeated or we are conquered.’ Curtin was right. Still to come were the brutal New Guinea and Solomons campaigns and then the island fight for three more years. Over the course of the war the level of integration and interoperability between the Australian and US armed services would grow dramatically. It reached its zenith with the Australian Naval Squadron’s outstanding service with the 7th Fleet in the Philippines campaign. It was, however, the Battle of the Coral Sea which first forged the strategic partnership for the titanic struggle that lay ahead. 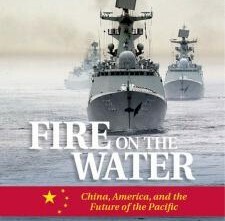 Peter Jones is an adjunct professor and a member of the Naval Studies Group at UNSW at ADFA. He is also President of the Australian Naval Institute and author of Australia’s Argonauts: The remarkable story of the first class to enter the Royal Australian Naval College. Image courtesy of Wikimedia Commons.